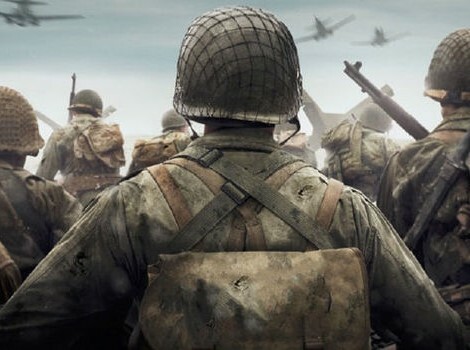 Activision has lifted the wrapper off its latest flag waving opus to western (mostly American) 'patriotism,' military heroism and "values"; Call of Duty: WWII. And of course that announcement has dominated the media discussion in gaming since. Call of Duty is the big franchise out there, and though sales and interest have arguably waned in recent years as the series has veered towards science fiction, the expectation is that returning the franchise to the World War 2 setting that it started in will give it the interest boost it needs. Call of Duty, as a series, is also one that we need to have some serious conversations about. As with EA's Battlefield series, the games have, especially in recent years, behaved in a manner that could only be called 'nationalistic propaganda.' As I outlined in a piece I wrote on Battlefield 1, these games are deeply revisionist in the way they appropriate the wars in order to turn them into entertainment. In the real history, the allied forces in World War 2 were not saints, and this applies from the leadership and strategic decisions that were made through the war (dropping nuclear bombs on civilian populations is a war crime, so just as well "we" won so the people that did it weren't charged for it), right down to the soldiers and what they did to their enemies (and, again, the civilians of enemy nations as they captured cities and the like). But all of this is glossed over in a game like Call of Duty, because it doesn't sit well with the military worship narrative that so dominates public discussion in the west. Instead, games like this are all about the "fun" of cruising around in a tank and building up kill streaks in multiplayer. The narrative, even from the trailer, is clearly going to be about one of good, loyal, heroic men and women suffering through the horrors of war because they're the only "light that's shining in the darkness." As I've noted a number of times now, this is all rhetoric that is quite common to war propaganda; I saw it all depicted the exact same way when I went to an art exhibition in Japan of the propaganda war paintings that the Japanese artists produced through the wars. Again: What you see in the trailer for that Call of Duty game is, explicitly, the same fundamental rhetoric that you see in the paintings of the Japanese military heroes struggling against the evils of the western allies in World War 2. Exactly. The. Same. The reason game developers indulge in this propaganda is quite simple, of course; it sells. It sells bucket loads. In a world where the biggest game market elected a man like Donald Trump, games designed to celebrate wars with - and the killing of - "the other side" are games that tap into the current cultural values. In a climate where an entire country like Australia can go into meltdown at the slightest hint of perception that a public personality is not participating in the military hero worship that they're meant to on ANZAC Day, it makes sense that a game that presents military men and women as paragons of heroism and virtue would go down well. But in doing all of that, publishers like Activision and EA are trivialising the wars in question. It doesn't matter how extreme the violence is that they depict so that their PR teams can write it up as "an unflinching look at the realities of war", they are effectively re-writing the history books to give their audiences a heavily adjusted understanding on the conflict and its participants. And we need to have a conversation about that, because it's this revisionist history, military worship, and excess of nationalist propaganda in our popular media that is fueling so much of the rise of the far right in western culture. But, of course, we don't talk any of this in games. We don't really talk about it in films, or general discussion, either. Nationalism is something that the right wing champions, of course, but the so-called "progressives" also tend to accept, perhaps because it's so prevalent in society that the progressives also tend to be desensitised to it. As a result, for all the good work that our industry's media does in promoting progressive attitudes in other areas of games, with very, very few exceptions nationalism is given a free pass. Take for example this article from Polygon about Call of Duty: World War 2. In it, the author is very critical of the game's reveal and what we know about it to date. The problem is that their criticism starts and stops at "diversity." Diversity is a very fine thing to fight for in games, and I'm in absolute agreement that we need greater ethnic, religious, and gender diversity in our games. But in glossing over the nationalism and propaganda that the journalist - Allegra Frank - witnessed every bit as much as anyone else did, Frank is effectively saying that all of that is okay. That it's okay to indulge the far-right in their love for military worship and 'patriotism' (which directly leads to xenophobia, discrimination, racism, and outright war), as long as the game does the right thing by diversity and does a better job of integrating women and black people in substantial, meaningful, roles. 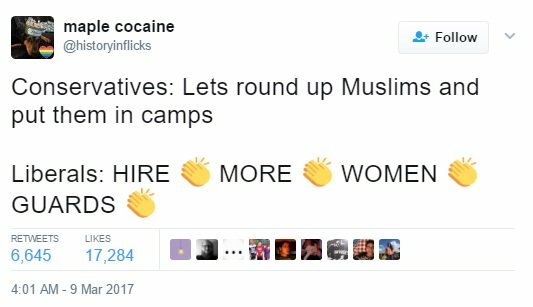 That's nonsense progressive values-by-numbers. If you want to tackle the real social and cultural problems that the glut of military shooters in games represent, you need to do it at the source; when games like Call of Duty stop behaving like nationalist propaganda, then we'll start to see the franchise's other issues - including its problem with diversity - begin to resolve themselves.